With The Griffin’s Feather, debut author Anne Harrington opens a new realm of mythic proportions. 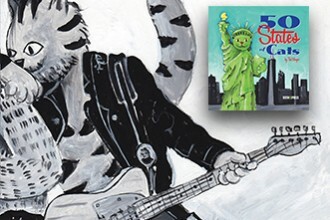 The first installment of Molly Stevens & the Nine Realms, introduces readers to Molly Stevens, a ten-year-old in a new town who sees herself as a boring girl living a boring life. But an encounter with a grumpy neighbor over seemingly normal flowers changes everything. Soon Molly finds her world filled with leprechauns, sphinxes, and griffins. When a strange, new substitute teacher takes an interest in her, Molly discovers that not all magical creatures are her friends. 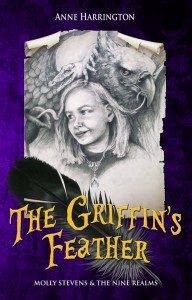 The Griffin’s Feather is an exciting and enthralling blend of magic and the unseen dangers of human nature that mirrors Alice in Wonderland and Cornelia Funke’s Ink Heart series. Harrington gives new meaning to the phrase “painting the roses red,” as Molly embarks on a mission to save her family and new friends, armed only with her courage, wits, and the occasional mythical beast to protect her against the dark creatures of her world. Anne Harrington is an artist, gardener, and lover of all the unexpected magical things that can be found if you keep your eyes open and let your imagination wander. 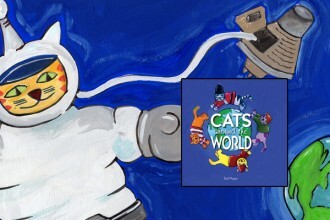 Anne draws from her extensive knowledge of mythology, plant lore, art and magic to create a rich world of enchantment. 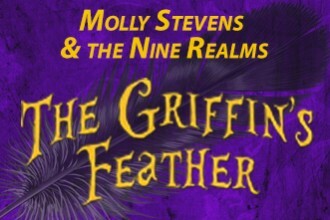 The Griffin’s Feather is the first in a ten novel series chronicling the adventures of Molly Stevens and her menagerie of magical friends.